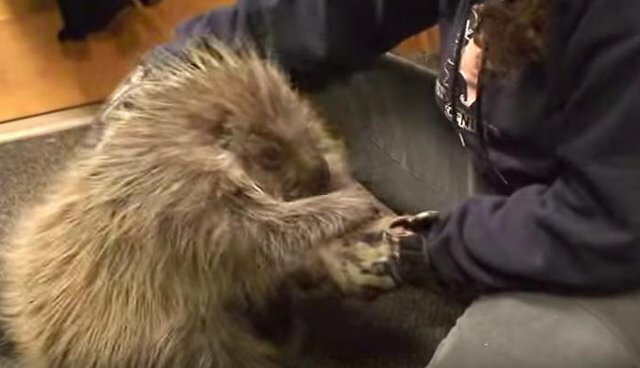 People usually don't think of porcupines as warm and cuddly (for obvious reasons,) but this adorable video shows that porcupines can be as playful as puppies. 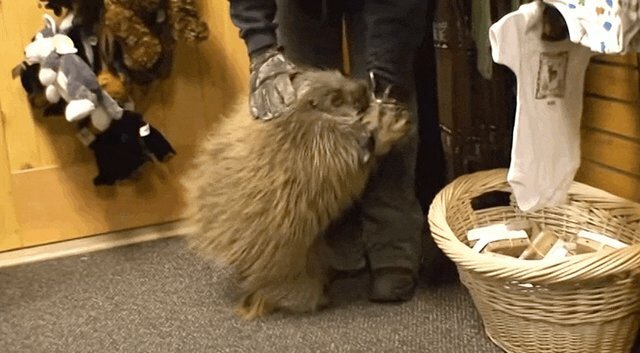 This is Snickers, a porcupine who lives at the Alaska Wildlife Conservation Center. And he wants to play. "Hey. Hey. Play with meeeee." 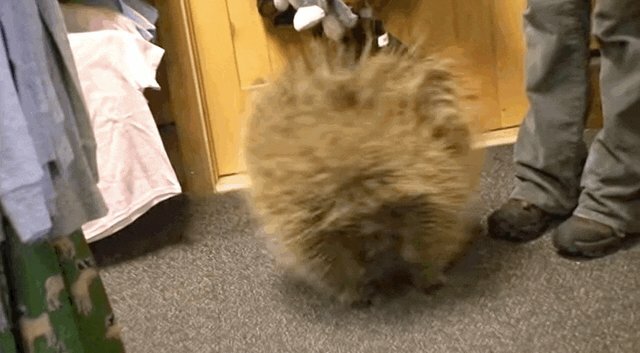 And when he's really happy he jumps around in a little circle. 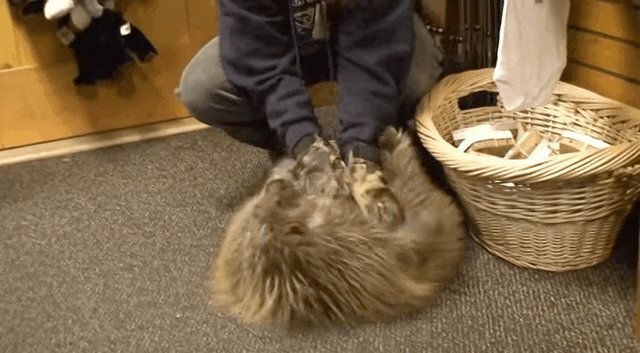 The only difference is when you're petting Snickers, you NEED to wear gloves. Also he's a wild animal - albeit a totally adorable and excitable one.